It is with heavy hearts that we announce the passing of our great-grandpa, grandpa, dad, husband, and great friend. Donald George Rensby, aged 71 years of Moose Jaw, SK passed away with family by his side on Friday, July 20th, 2018 (his Mother’s birthdate). Don was born in Regina, SK to Agnes Montgomery Barr of Tugaske, SK and Edward (Ed) Rensby of Elbow, SK on July 1st, 1947 (his father’s birthdate). He married the love of his life, Christine Boyczuk on August 16th, 1986. Don had many wonderful experiences during his working career as a salesman (although he did not manage to sell Christine a car). He sincerely enjoyed his time mentoring some very special youth, Josh and Gabriel, his friends for life. His years as a Justice of the Peace were remarkably satisfying as he developed a respect for our City Police and knowledge of legal matters. 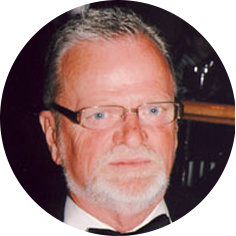 Over the years Don was passionate about support for youth and also dedicated much of his time to the work of the Optimist Club, two years as President. He was an avid reader, craftsman, crib and pool player, dancer, music lover, family man, and most importantly a great friend to all. Don loved and was loved as Grandpa Don by many. Being a grandpa was so very special to him. He was predeceased by his father, Ed; mother, Agnes; brother, William (Bill); sisters: Glenys Marlin, Donna Kyle (Murray), Jean Hill (Ed), and Debra (Debbie) Moffatt; and father and mother-in law, Victor (Vic) and Joan Boyczuk. Don will be forever remembered and loved by his wife, Christine of Moose Jaw; sons, Jeffrey (Angela) and Chris (Melissa); daughters, Vanessa (Kris) and Becky Gonske (Corey); precious granddaughters: Meghan, Madisan, Tess, Sarah, and Taisley; grandsons: Evan, Taylor, JJ, Zach, Raff, and Dawson; great-grandson, Jett; brothers, Robin (Judy) and Kerry (Sally); sister, Alice Moffatt (Ron); brothers-in-law, Murray Moffatt and Murray Kyle; sisters-in-law, Ghislaine Rensby Hunt (Bert ) and Paula Boyczuk Green (Darell); as well as many special nieces and nephews. The family would like to thank the amazing Dr. Volker Rininsland, nurses (particularly Vi and Leanne) and staff of the Dr. F.H. Wigmore Regional Hospital for their loving and compassionate care over the last years of Don’s life. The love and care shown to Don and family will never be forgotten. A Memorial Service will be held on Wednesday, July 25th, 2018 at 1:00 p.m. in Moose Jaw Funeral Home. In lieu of flowers, donations in Don’s may be made to the Moose Jaw Health Foundation, 55 Diefenbaker Drive, Moose Jaw, SK, S6J 0C2 or the Allan Blair Cancer Centre, 4101 Dewdney Ave, Regina, SK S4T 7T1.